Ever have a superpower itch that needs scratching? You are in luck! 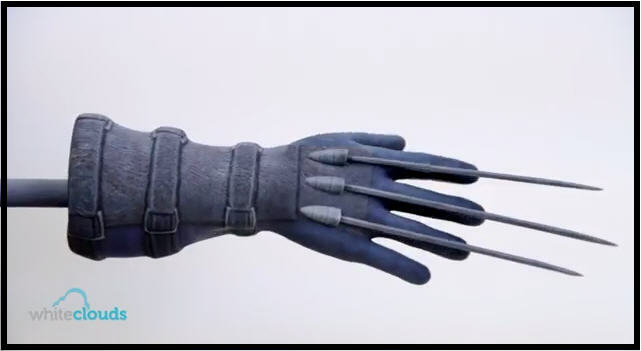 WhiteClouds celebrates the opening of The Wolverine part 2 with a 3D printed backscratcher for just such times. The model was modified from an original STL file found online. It is made of Full-color Sandstone and has a long handle for those hard to reach areas. As you will see in the video, after the 3D printed backscratcher comes out of the bed of white powder, it is covered with liquid from a squirt bottle. This solution is very similar to super glue. It helps bring out the printed color in the object as well as strengthen the powder so it’s less brittle. This is a unique process to the ZPrinter, now called the ProJet 650. Sorry, Wolvie fans- "the scratcher ain't fer sale".